We've worked closely with our customers to develop a unique suite of SAP Business One modules. The Ochiba OPTIONS range includes a number of products to enhance SAP Business One's manufacturing functionality. If your company focuses on make-to-order products - either through configure-to-order, engineer-to-order and engineer-from-order practices, or is more contract or project based - we are confident we can offer you a market leading solution. 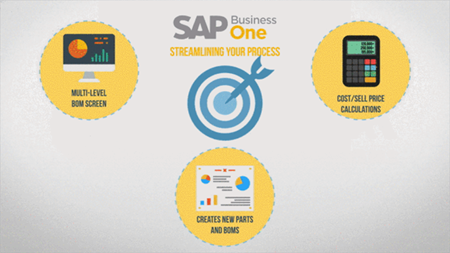 If can also offer SAP Business One add-ons to manage after-sales servicing. Visit the Service page to find out further information. 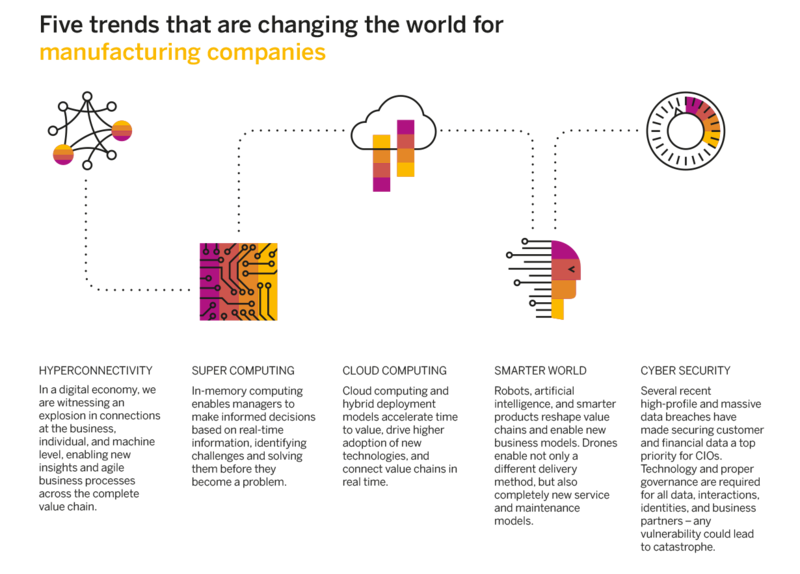 The manufacturing world is changing faster than ever before. 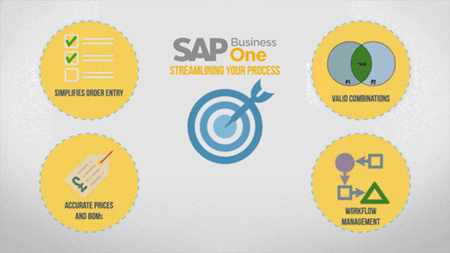 SAP Business One and the Ochiba OPTIONS range are the perfect solution to keep ahead. At Ochiba we understand companies in the Aerospace industry face a number of unique issues. These problems come from having to work to strict compliance regulations, as well as keeping tight delivery schedules, all while operating in complex supply chains. 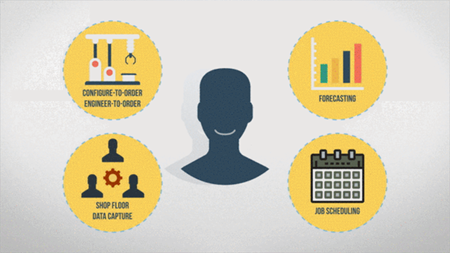 SAP Business One Manufacturing ERP from Ochiba will give you ability to solve all these issues. It will also provide the traceability you need, plus quality management certification. We know how hard it is to keep up with the ever changing operating procedures in the Automotive industry. There's also the added pressure of needing to work to strict compliance guidelines. While making sure you have the flexibility to react quickly to customer lead changes in the schedule and deal it's impact to the supply chain. Ochiba have helped our customers solve all these problems. We've worked with companies throughout tier 1, 2 or 3, as well as, manufacturers of trailers, mobile homes and vehicle convertors. We've also helped Jaguar Land Rover to develop solutions at their national sales centres to track parts throughout the supply chain. We understand how important it is, when manufacturing components, to react quickly to changes in the supply chain. You also have the added pressures of compliance and traceability. The Ochiba OPTIONS modules will help you solve these issues, as well as allow you to quickly and accurately quote for new products or jobs. Contract Engineers have some of the most unique needs from any ERP system. We know you tend to operate on a high value, low volume basis. Therefore, whether you make equipment and machinery, or provide industrial fabrication, your ERP system has to deal with different stages of design, build and installation. Plus, there's often the added complication of after-sales services to be taken into account. The Ochiba OPTIONS range can help at every stage. Firstly, it will help you quote for new products or jobs quickly and accurately. Then, it will help you manage the delivery of each project. Plus, we can also help your field service engineers while they're out of the office. We understand the HighTech industry faces a number of challenges. These issues include tight deadlines, quick turnaround and the need for traceability. We can help you solve the problems faced by producing high value components and products, while maintaining strict quality management. The Ochiba OPTIONS range gives you the ability to quote for new products or jobs quickly, and then manage the delivery of each project. The UK medical and pharma industry has specific NHS driven needs. Whether you're manufacturing and installing medical equipment or providing products, the Ochiba OPTIONS range and SAP Business One will integrate your business into the supply chain. We know just how important Framework Agreements are, and we understand how we can help you trade through these agreements. We can also give you full traceability while meeting compliance guidelines.